The IRS has created a program for individuals who file a federal 1040-EZ to be able to do so for free. Fee's will be charged if you do not meet the requirements of form 1040-EZ or are required to file a state return. 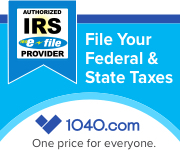 Click the link to get started with our free filing partner 1040.com. Start for free. If you run into trouble or do not qualify, contact us to finish your filing.